When you look in your child’s mouth, you might notice there are spaces between lots of the teeth. When young mouths are still in the process of their teeth emerging, there will be space where the teeth should be. The other reason there is space is because adult teeth are larger than baby teeth and there needs to be space to accommodate adult teeth when the time comes. The amount of space between the teeth is not a reason to stop flossing. 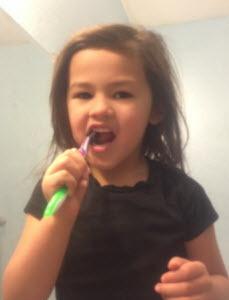 When you are brushing your child’s teeth only about a third of their mouth is being treated which is why your oral hygiene involves more than just tooth brushing. If you decide that you don’t need to have your child floss their teeth you should know the ramifications. Bad Breath: When someone has bad breath it can be from many different causes. When it is a child, the list of possible reasons is a bit shorter. They are not smoking or taking medications that are usually associated with some form of halitosis. When a child has consistent bad breath it is often from food debris that is stuck between the teeth and near the gum line. When the food starts to build up it will emit sulfur that comes out in the form of halitosis. The only way to get in between the teeth in your mouth is to use floss. Children Can Have Gum Disease: Your gums health is determined by several factors. The first is that they need to be massaged when you brush the teeth. This will help bring the blood flow to the top and cause them to be healthy. 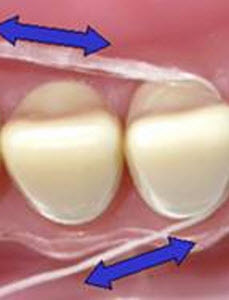 The other areas of the gums are in between the teeth and need to be addressed when you floss. When you stop brushing and especially flossing you will start to see blood when you finally do floss and brush. When you notice that your child’s gums are bleeding, it can be an early warning sign of gum disease. You can easily prevent gum disease when you floss and brush regularly. Cavities: You may notice that there are gaps between most of your child’s teeth which is very common but that is not forever. The majority of the molars in a child’s mouth are touching and the food that gets stuck there will lead to decay in the form of a cavity. These cavities can cause pain and discomfort and if left untreated can lead to an abscess. The best way to prevent cavities is to start young and early with flossing each time the child brushes their teeth. If you want to be sure that your child is taking care of their teeth it is best to start young. When they are under five years old having an adult brush and floss as a follow up is a great way to ensure that it is done correctly. 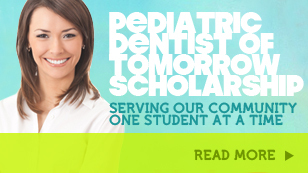 And having yearly exams with a pediatric dentist like Smile Reef is also key to catching problems early. Contact us to schedule your next appointment today!